A trusted philanthropic partner for 60 years, United Way of Southern Nevada is well recognized throughout the community as an organization dedicated to creating bold, positive change. 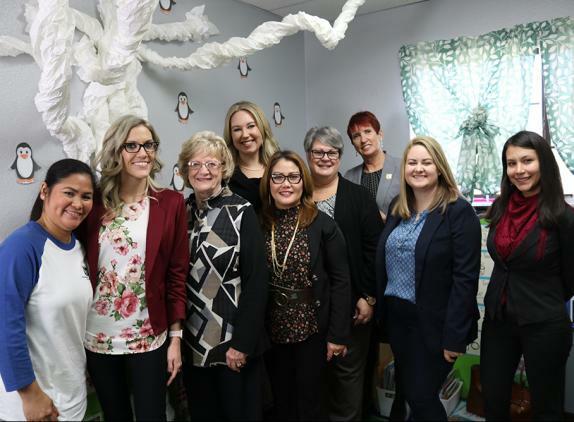 United Way of Southern Nevada maintains relationships with over 20,000 donors and 300 companies in the region, creating an elite group of some of the most powerful individuals and organizations in Southern Nevada. With the backing of a worldwide collective, recognized for creating lasting change, an investment in United Way of Southern Nevada is an investment in the future of our community. We invite you to explore the following opportunities to align your company with one of Southern Nevada’s most impactful organizations. Our philanthropic investment opportunities bring corporate social responsibility to life, uniquely positioning your company as a charitable leader in Southern Nevada. Elevate your corporate identity and show your commitment to the community by uniting with hundreds of other organizations to improve lives and support United Way of Southern Nevada. To sponsor an event or learn more about other opportunities to support United Way of Southern Nevada in an impactful way, please complete the form here.